Split is a beautiful town along the Dalmatian Coast of Croatia, and a frequent stop for those traveling to and from the islands beyond. 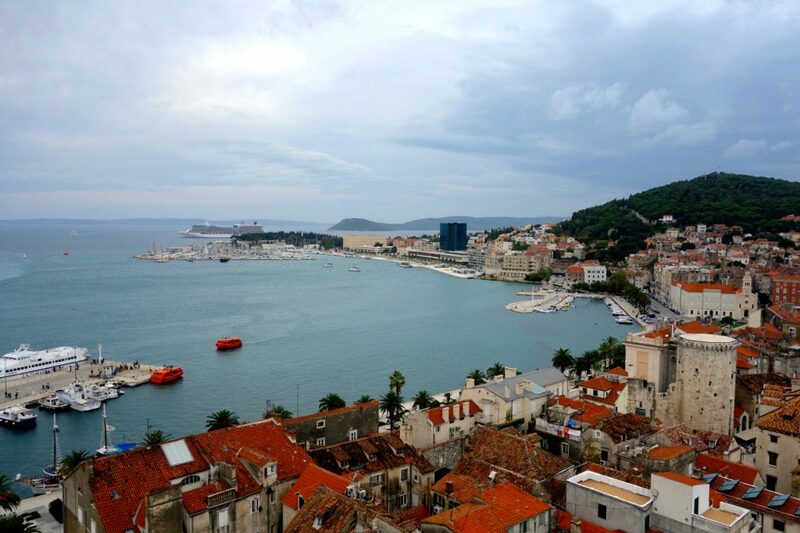 Centered around the ruins of the Roman palace of Diocletian (Built in 305 AD), Split has a little bit of everything- sparkling beaches, trendy bars and restaurants, a happening nightlife, loads of sports, and plenty of history to explore. 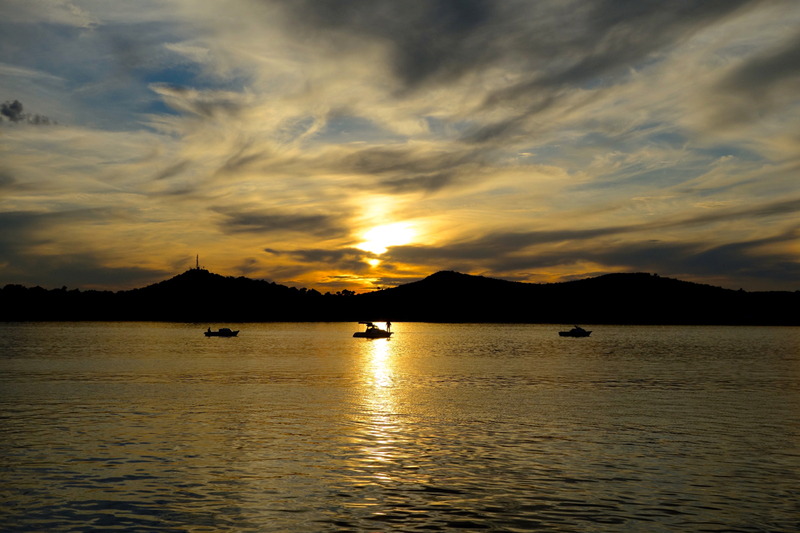 It’s also a great launching pad for sailing trips to the outer islands of Bra?, Hvar, and beyond. Backpacker friendly, with heaps of hostels and affordable food, when you’re traveling through Croatia, you WILL pass through Split, and are sure to find it’s a great spot to chill out and relax for a few days. 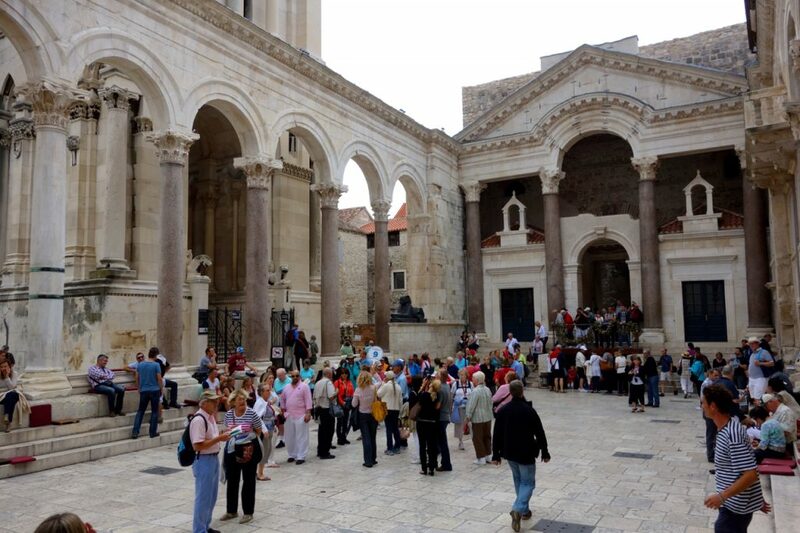 Tour the Palace of Diocletian- You really can’t avoid the palace, as the town is centered in and around its walls. You can hire a guide for an in-depth tour, or go it yourself along a well-marked series of info boards that detail the history of the palace. Make sure you climb the bell tower (small fee), and pose for a photo with the Roman soldiers in the palace square. 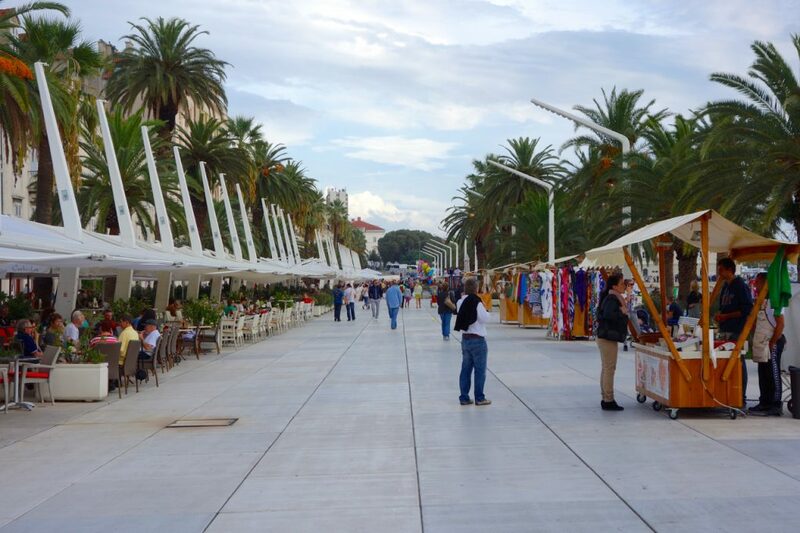 Walk along the waterfront- Split is famous for it’s oceanfront walkways and boardwalks. 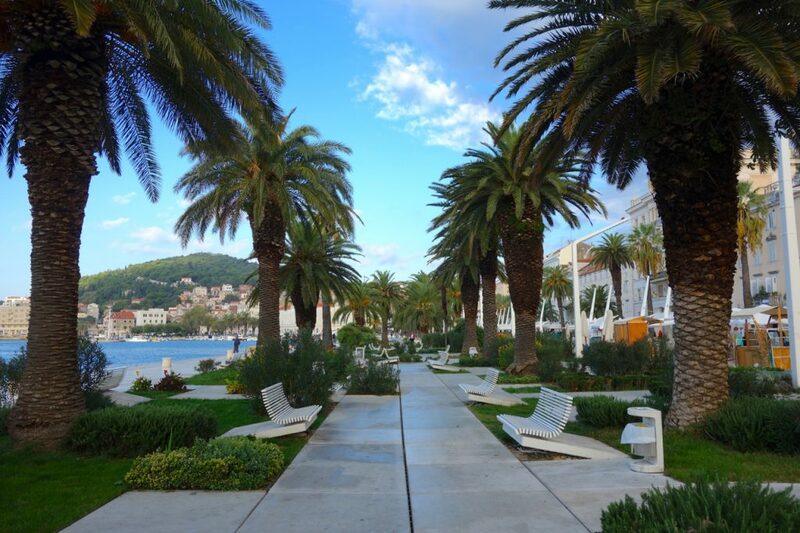 Riva is the palm tree-and-cafe-lined walkway right in front of the palace, while there are several others both to the north and the south of the town center. Find a spot for an afternoon cocktail and watch the waves roll in. Hit the beach(es)- You will find beautiful beaches all along these waterfront walkways and boardwalks. In the summer months, the beaches are packed with sunbathers and swimmers. While they’re more pebble beaches than sandy, the water is clear, the sun is warm, and the scenery is SPECTACULAR. EAT- Croatian food is AMAZING, and there are plenty of affordable, traditional restaurants around town. You’ll want to stay away from Riva, as these places are pretty pricey, but ask the people working at your accommodation and around with the locals, and they’ll point you in the right direction. Soparnik, Cevapi, and Goulash- YUM! DRINK- Split is a pretty festive town, and no matter the season, there are always people out looking to have a good time. Cafes and pubs abound within the palace walls, while beachside lounges and clubs pump late into the night. SAIL- Split is a great place to launch yourself into an amazing adventure through the island paradise that is the Dalmatian Coast. During the high season (May-Sept), there are countless companies that run trips of varying lengths to the islands around Split. Your options will be a bit more limited during the low season, but you should still be able to find something heading out into the blue beyond. Do your homework, ask around about companies’ reputations, and set sail into some of the most stunning coastal scenery in all of Europe. Climb Marjan Hill- Marjan is a easily-identified hill on the west side of Split (Look for the giant Croatian flag flying on top). It’s an easy climb, with several walkways winding up through the trees. Once you reach the top, you’ll have some pretty spectacular views of Split and the surrounding countryside. 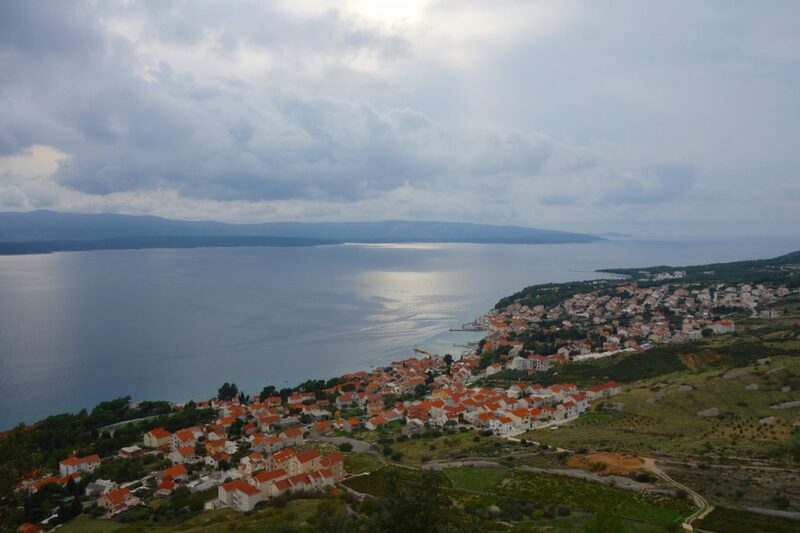 Take a day/overnight trip to Hvar or Brac- These two islands are a short ferry ride from Split, and are great destinations to check out while you’re in the area. 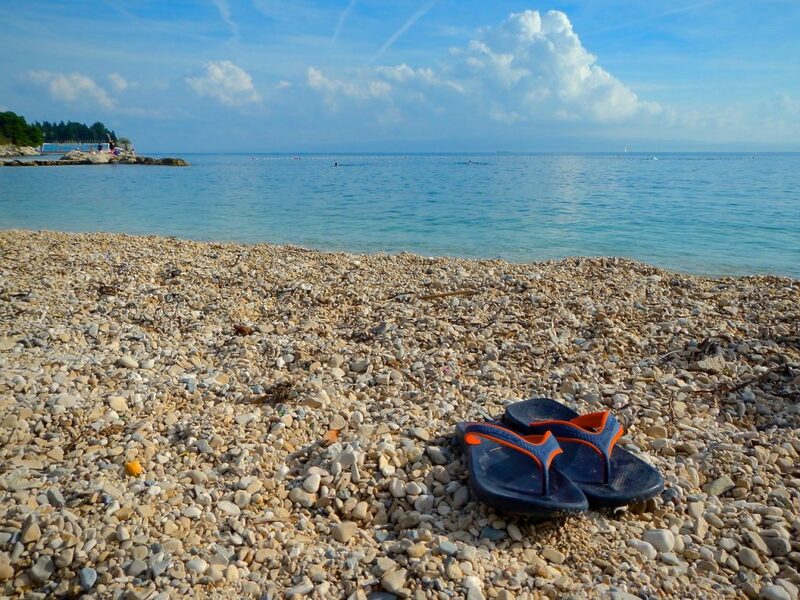 Beautiful beaches, cool little towns, and a taste of the island life in Croatia. If you want to stay overnight, ask at your accommodation in Split for recommendations- often, they can set something up for you rather than you having to waste time hunting for a place when you arrive on the island. 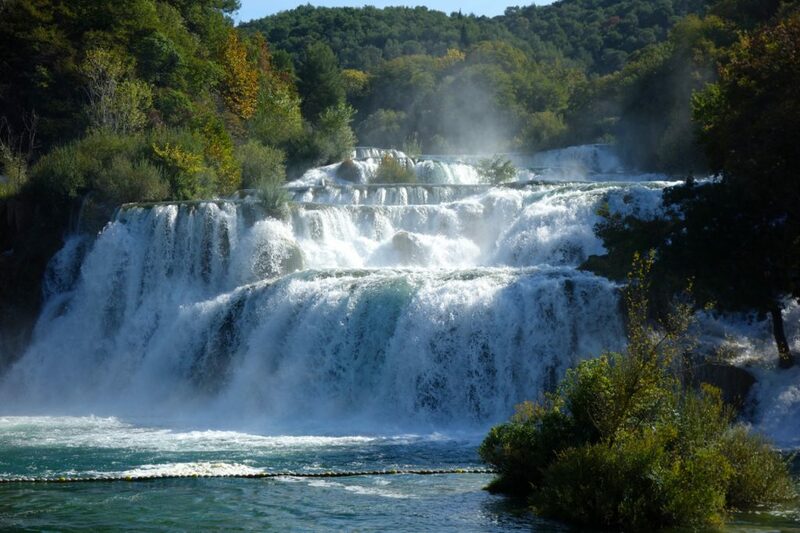 Visit Krka National Park- A winding networks of stream, rivers, walkways, and waterfalls, Krka National Park is a natural wonder only 2 hours away from Split. Many hostels will offer organized trips, but it is easy to make it there on your own via public bus, thus saving a few kuna along the way. Pack a picnic, your swimsuit, and a towel, and enjoy a day in the Croatian countryside. Go to a football (soccer) match- Croatia is football CRAZY, and Split may very well be the capital of this sporting insanity. The local club is called Hajduk, who play in a massive stadium on the north side of town. Tickets may be hard/expensive to come by, but even if you don’t actually go to the game, find a local pub that is showing in on TV, and mix it up with the locals. You’ll be glad you did (If they win, of course…).